Patios can be designed with virtually endless possibilities, and we can help you choose which design is right for you. We specialize in interlocking concrete pavers and flagstone patios. 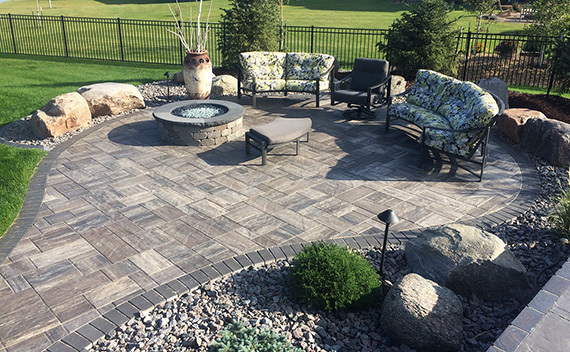 Proper installation of your patio is very important, and these types of patios will be the longest lasting in the industry.